It’s that time of the year again. Need some help finding the perfect Christmas gifts for car lovers in your life but are running out of time? Well you are in luck this year. We put together a list of cool, quirky, practical gifts that every car enthusiast will love. Now start your engines and spread that holiday cheer. 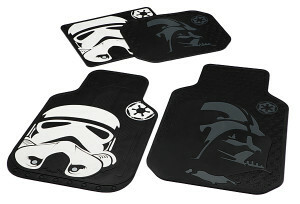 This is the perfect gift for lovers of cars and Star Wars. When you’ve spent all day trekking around the swamps of Dagobah looking for your kid, you don’t clean the muck off your boots before you get in to your TIE-fighter. Maybe it’s because you’re evil, but probably it’s because you just don’t have the time or energy. That’s where rubber floor mats come in handy. Likewise, you know you can’t visit Tatooine without getting sand everywhere. With these great mats, you just have to dock back at base and shake them out. They’re not fabric, so no vacuuming required. Which is especially good when visiting Jabba, because Salacious Crumb is terrified of the vacuum. 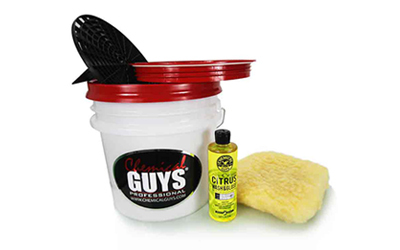 Chemical Guys is the Leader in Auto Detailing, Car Care, Car Wash Chemicals Auto Reconditioning, Detailing Training, Equipment, Business Start-Up and Support. 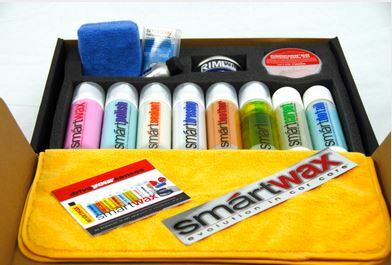 ChemicalGuys.com offers a large variety of car wash chemical, mobile detailing products and accessories, microfiber towels, detailing tools, equipment, training and support for all of your auto detailing, mobile detailing, carwash, or auto spa needs. GO-15™ is compatible with all petroleum and synthetic oils, greases, and hydraulic fluids increasing the life of your engine. For use in both new and old applications. For new applications, keep metal parts in new running condition for as long as possible. For older applications, rebuild years of wear and restore performance and efficiency that has been lost. The chemical reaction reduces friction, heat, wear, corrosion, rust and chemical attacks on treated metal surfaces. How can this ever be a bad thing…there seems to be nothing but benefits here! Whatever they are an auto-motor-sport fan or just a general car enthusiast, this Christmas gift for car lovers will definitely get their attention and they will never use another bowl for soups, snacks or candies. Only $23.97 can bring a big smile on their face and sweeten the Christmas time. 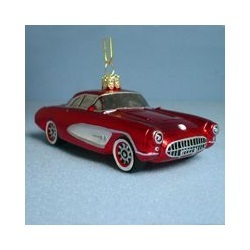 Christmas Central offers a broad range of Classic Car, Train & Airplane Ornaments. These novelty Transportation ornaments are sure to brighten the Christmas of the travel enthusiast in your home. This Christmas ornament makes your tree to an eye catcher and will definitely put a smile to your car enthusiasts and guest’s faces. 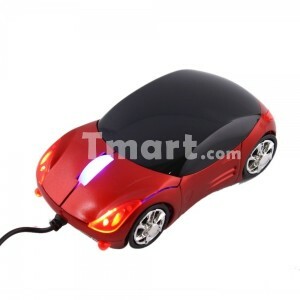 The car lover in your life can cruise the web with the Red High Precision Car USB Optical LED Scroll Mouse. High precision optical mouse: Sends 1500 signals per second to digital signal processor to determine exact location, so it never needs a mouse ball like a traditional mouse. Plus it eliminates erratic cursor movement and dust accumulation. 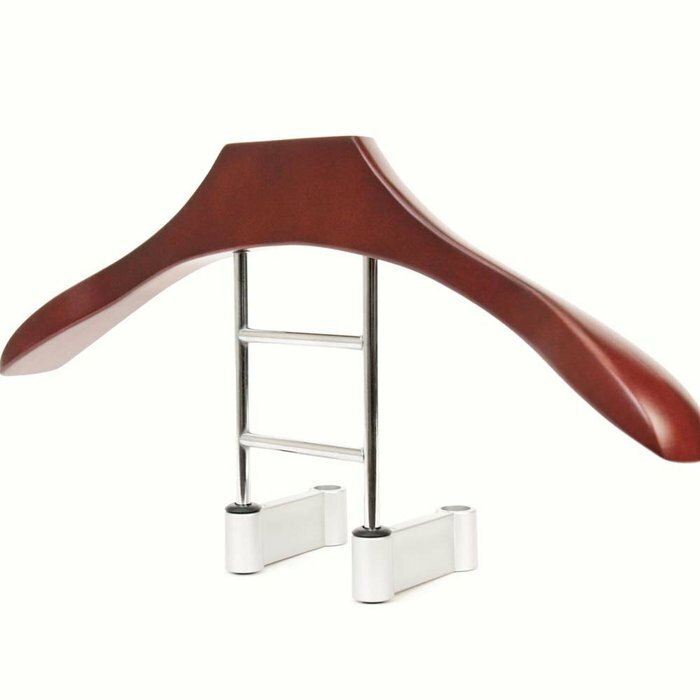 Real wood hanger simply attaches to your vehicle’s headrest. Hang up a heavy winter coat or your suit jacket. Keeps your clothing looking sharp and wrinkle-free while you drive. 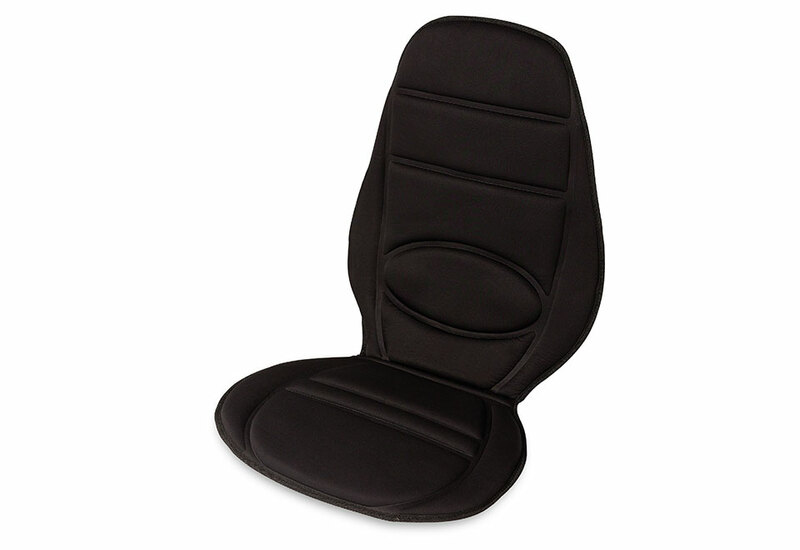 Fits standard removable headrest supports with diameters of 5/8 inch (16 mm) or less. Hanger is 17 3/4 inches wide. 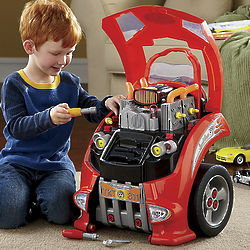 Your little mechanic will love tinkering with this Car Engine. When he lifts up the hood, he’ll find a set of tools he can really use to remove the engine’s bolts, spark plugs and pipes. And he can check the oil, make sure the horn works, flip on the headlights and turn the key to hear the engine purr! Uses 8 AAA batteries (not included). Perfect gift for the car lovers kid. Enjoy a warm, soothing massage at home, at work or on the road with the portable Heated Massage Cushion for Home or Car. It fits on most any chair, sofa or car seat to provide comforting vibration massage, plus gentle warmth. Use the handheld wired controller to choose your intensity (low or high) as well as a massage zone (upper back, middle back, lower back, seat, multiple zones, or all zones). You can also add optional heat while the massage function is operating. Features include 6 massage motors, adjustable strap and a protective thermostat to prevent overheating. Plugs into an AC adapter or DC adapter (auto cigarette lighter).